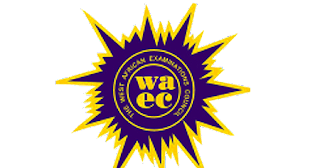 Home WAEC and GCE Official Updates Does UNILAG accept GCE Result? Does UNILAG accept GCE Result? Does UNILAG accept GCE result for admission? Yes they do. You can use WAEC GCE, NECO GCE, NABTEB GCE to gain admission into UNILAG. And any possible combination is acceptable by the university. People would appreciate it if you could just share this post with them on Facebook, Twitter, Whatsapp etc. Use the share icons below for your convenience. Tolani (Mr. Techie) is the CEO Techie Konsult; an education consult located in Apomu Osun State, Nigeria. He is a teacher, an author, a serial blogger, and education counselor. Can I Do Masters (Msc/PGD) Before or During NYSC? Is Post UTME Going to be Exams or Screening? JAMB Change of Institutions Out?